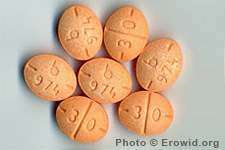 Amphetamine is a strong physical and mental stimulant available widely in both prescription and street forms. It is the standard against which all other stimulants are measured. 2015 - Tablets imprinted with the "Captagon" logo in the Middle East generally contain amphetamine and caffeine, though "captagon" was originally a pharmaceutical brand name for a different chemical, fenethylline. Have you heard of ice (freebase MDMA)? Is it OK to take adderall if I don't have ADD? What is the principal mode of action of amphetamines? Can taking Adderall show up on a drug test? FADAA : What Are Amphetamines/Methamphetamines?